Charles Ellis Culpepper, 2 Dec 1877 – 22 Sep 1914. Kate K. Culpepper, Dau, F, S, W, 10, LA/GA/GA. 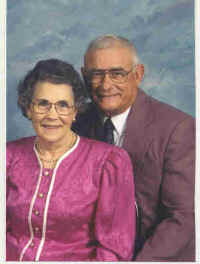 Mildred Culpepper, Daughter, F, 1 11/12?, S, TX LA TX. Charles E. Culpeper, 1906 Jackson Parish, 82.9700 acres/15800147. + Lula M. Culpepper, 1883 - 1913, wife of C. E. Culpepper. E. G. Howard, Hiredman, M, 19, S, TX TX TX, Laborer-Farm. B B Culpeper is the father of an infant born 13 Jan 1913 in McLennan Co., Texas. Pete Culpepper, Son, M, 4, S, TX TX TX. Monyene Stearns and Pat Fehler, Deaths in Central Texas 1925-1934, . McGregor Mirror, Jan 24, 1930. Trudie Culpepper, 12 Mar 1885 – 16 Jan 1930. Frances Culpepper, died 20 Jul 1864, age 6 mos., 16 days. Frances E. Culpepper, 2, F, TX. Source of this birthdate is unknown, but the year must be wrong as Frances was 2 years old at the time of the 1860 census. E. A. Culpepper, Jr. [III], Son, M, 6, TX TX TX. Anna Willard Culpepper, 22 Sep 1901 – 26 Nov 1915.
from a book of newspaper abstracts found at the LDS library in Salt Lake City by Lew Griffin. John Culpepper, 1 M60-70, 1 F60-70, 0 slaves. E-mail written Aug 2010 to Warren Culpepper from Steven Lee Culpepper (#4275), e-mail address. Services for Mildred C. McKinney will be held Monday at 10 a.m. at Barham Funeral Home chapel with the Rev. Jason Bird and Dr. Danny Chisholm officiating. Burial will be in Forest Lawn Cemetery. Mrs. McKinney, 81, of Meridian, died Saturday, March 3, 2001, at Rush Foundation Hospital. She was retired from Otasco Warehouse and was a member of Fifteenth Avenue Baptist Church. Survivors include her husband, E.D. “Red” McKinney of Meridian; a daughter, Cynthia Barker and her husband, Bob, of Meridian; two brothers, Levin Culpepper of Meridian and Sam Culpepper of the Whynot community; three grandchildren, Melodie Mercer and her husband Scott, of Dayton, Tenn., Andi Barker of Clinton and Toby Barker of Hattiesburg; three stepgrandchildren, Leigh Ann Coleman and her husband, Tim of Rockville, Md., Julie Barker of Atlanta, and Bob Barker III of Birmingham, Ala; two great-grandchildren, Grace Mercer and Zoie Mercer; two step-great-grandchildren, Ann Coleman and Caroline Coleman; and a number of nieces and nephews. She was preceded in death by her parents, Sam and Hassie Ponds Culpepper, and two sisters, Lottie Culpepper Cook and Elizabeth "Lib" Culpepper. The family requests memorials be made to Fifteenth Avenue Baptist Church. Visitation will be today from 2-5 p.m. at the funeral home. Pallbearers will be Nathan Culpepper, Jay Crane, Joey Watkins, Eddie Sheely III, Randy Ethridge and Ben Rose. Honorary pallbearers will be Charlie Bancroft, Jim Goss, Heyward Dillard, Joe Miller, Bill Combs and WadeChatham. Levin E. Culpepper, Son, M, Wh, 4 8/12, sng, MS/MS/MS. Sarah Mozingo, compiler, Choctaw County Cemeteries, Rootsweb: USGenWeb Archives, 1996. Liberty Baptist Church Cemetery, Sumter Co., Alabama, near Choctaw County line. + Hassie Ponds Culpepper, Nov. 2, 1891 - July 23, 1978. E-mail written Dec 2008 to Culpepper Connections from Toby Barker (gs/o #4276), e-mail address. Photographed* say 2000� She was photographed say 2000 at Meridian, Lauderdale Co., Mississippi. Obituary* say 17 Oct 2016� Graveside services for Mrs. Eleanor S. Culpepper will be held Wednesday at 10 am in Clay Memorial Cemetery in Cuba, AL. Bro. Reid Vaughn will be officiating. Stephens Funeral Home is in charge of arrangements. Mrs. Culpepper, of Meridian, passed away Sunday at Rush Foundation Hospital. She was a homemaker who will always be remembered as a loving wife, mother, grandmother and great grandmother. Survivors include her son Levin Culpepper Jr. (Lynn); grandchildren Nathan Culpepper (Lisa), Matt Culpepper (C.J. ), great-grandchildren Molly Claire Culpepper and Austin Culpepper. She is also survived by sister Edwina Wheeler and brother Harold Shaw (Sally) along with numerous nieces and nephews. Judy Gilmer e-mail, 6 Mar 2003. Obituary in The Meridian (MS) Star (Online edition), Wednesday, 5 Mar 2003. Obituary of Eleanor S. Culpepper, published by Stephens Funeral Home, Meridian, MS.
THOMASTON, Ga. — Services for the Rev. Edwin Louis “Ed” Kelly III will be held Friday at 2 p.m. at Pleasant Valley Church, with the Rev. Henry Wright officiating. Pasley-Fletcher Funeral Home is in charge of arrangements. Rev. Kelly, 58, of Thomaston, died Sunday, Sept. 30, 2001, at Upson Regional Medical Center. He was born in Natchitoches, La., in 1943 and retired from the State of Louisiana Division of Administration in 1999. He was currently serving as Assistant Pastor of Pleasant Valley Church, an international ministry offering ministry and training programs for the prevention and healing of diseases of the spirit and soul as well as the body. Survivors include his wife, Dianne C. Kelly of Thomaston; his father, E.L. Kelly, his mother, Claire Kelly, a sister and brother-in-law, Ginger K. Jones and Lewis Jones, all of Shreveport, La; his father-in-law and mother-in-law, Levin Culpepper and Eleanor Culpepper, and a brother-in-law, Levin Culpepper Jr., all of Meridian; three nieces, Kelly Jones of Albuquerque, NM, and Stacy Jones and Leigh Anne Jones, both of Shreveport; and two nephews, Nathan Culpepper and Matt Culpepper, both of Meridian. The family requests memorials be made to Pleasant Valley Church, 4178 Highway 74 West, Thomaston, GA 30286. Obituary for Edwin Louis Kelly, III, The Meridian (MS) Star (Online edition), Thursday, Oct. 4, 2001. Father* Levin Ellis Culpepper Jr.
Nathan Culpepper of Meridian, Mississippi, is a Landscape and Historical Photographer. Allen Culpepper, Other, M, MU, 19, Farm Laborer, MS/---/---. Historical collections of the Georgia chapters of the Daughters of the American Revolution, Volume IV, Atlanta, GA: C. Byrd. John Culpepper, 2 M0-10, 1 M10-16, 1 M26-45, 2 F0-10, 1 F26-45. John Culpepper, 2 M0-10, 1 M10-16, 1 M26-45, 1 F0-10, ? F26-45 (Not clear if anyone recorded or not). John Culpepper, 3 M0-10, 4 M16-26, 1 M45+, 2 F10-16, 1 F16-26, 1 F26-45, 4 slaves. 3rd Lt. Charles Culpepper, Montgomery Co., NC, 1814 Second Regiment Muster Roll. The information we have about Pelitithe comes from two sources -- a copy of the family pages from a bible that apparently was started by Pelitithe but was turned over to Samuel Bozeman Webb and a copy of Pelitithe's will. The first entries in the bible record the birth dates for Pelitithe and Sampson Culpepper and indicate the names of their parents. The will leaves everything to her nephew (could have been great nephew, but the will says nephew) Samuel Bozeman Webb. The bible entries also give the marriage date for Pelitithe and Sampson. The 1850 Census for Baker County, Georgia, indicates that Pelitithe may have been living in Samuel's household just prior to her death. Samuel Bozeman Webb, b. June 20, 1803, possibly in NC or GA, d. May 29, 1870, Amite Co., MS; parents: Father - Jesse Webb, b. Feb. 12, 1778, NC, d. Dec. 19, 1842; Mother - Nancy Bozeman, b. Sep. 18, 1785. Other children of Jesse and Nancy: Infant girl, b. Nov. 12, 1800; Elizabeth, b. Apr. 15, 1802; Matilda, b. Dec. 4, 1805; Carline, b. Apr. 16, 1808; and Stephen, b. Nov. 12, 1810. It is likely that Samuel's father, Jesse Webb's parents were Rice and Polly Webb, of NC. It is also possible that Jesse's father was Stephen Webb, also of NC. We believe that most of Jesse's brothers and his father moved from NC to Jefferson Co., Georgia, around 1800. Jesse's sister or aunt Peletitha Webb, b. Aug. 19, 1784, NC, d. Aug. 9, 1850, GA, married Sampson Culpepper, Jr., b. May 27, 1785, NC, d. Aug. 9, 1850, GA (sic). Sampson Culpepper, Jr., was the son of Sampson Culpepper, Sr., b. abt. 1740, NC, d. aft. 1820, and Eleanor Gilbert, b. Apr. 25, 1745, d. Jul. 19, 1823. Pelititha's parents were Stephen and Ann Webb, NC. Wives of Samuel B. Webb: 1) Serinda E. Murphy, m. Jan. 8, 1820, in GA, d. Oct. 8, 1825, no children; 2) Delphia R. Lawson, b. Abt. 1798, Wilkes Co., GA, m. Sep. 20, 1828, GA, d. Apr. 20, 1830, Pulaski Co., GA, 3 children; 3) Cynthia Yarborough Gardener, m. Aug. 18, 1830, d. Jul. 18, 1839, Pulaski Co., GA, 4 children; 4) Lucinda Foster, b. Dec. 2, 1819, m. Jan. 26, 1840, d. Nov. 5, 1890, Amite Co., MS, 9 children. Samuel's oldest son Pleasant Culpepper Webb, Sr., married Lorena Carolina Smarr, on Feb. 9, 1850, in GA. She was b. Apr. 23, 1830, Forsyth Co., GA, d. Apr. 29, 1891, Liberty Co., MS. Her parents were William Smarr, b. 1795, NC, d. 1859, GA, and Denisy Webb, b. 1796, NC. History of Poplar Springs North Baptist Church, . E-mail written 2000 to Lew Griffin from Trudy Webb Berger, (Need current e-mail address). Pittititha Culpepper, 66, F, NC, Farmer, $--, Illiterate. (She is listed as a separate family in the census, but immediately follows the large household of Samuel B. and Lucinda Webb, who she is probably living with).